Google’s I/O is coming up May 8th at Shoreline in Mountain View. According to 9to5google.com, expect Android P to bow…as well as some gesture navigation. What’s been rumored sounds a lot like iPhone X navigation…it’s unknown though if this will be system wide or just Pixel exclusive. We may see an Android TV dongle…there have been pictures of a new dongle from a Chinese company with the Google logo on them spotted. No details have leaked out, but expect something pretty significant about Google Photos…Photos is getting a session on day two…a first for Photos. Apple beat both revenue and profit projections yesterday, selling 52.2 million iPhones, just a tad below the Street’s targets. Revenue was $61.1 billion…Wall Street had expected $60.8. Reuters.com reports that Apple will bring about 100 billion back to the US in its capital return program. An interesting tidbit: Apple’s wearables…Apple Watch, Air Pods, and Beats headphones…if broken out as a separate entity, would be a Fortune 300 company, without any of the rest of Apple! With all the personal data leaks and sales, just one more thing to be unnerved about…Fancy Bear…the Russian group that US intelligence thinks did the hacking of the Democratic National Committee in 2016…appears to be using Lojack laptop tracking software to propel new hacking campaigns. Axios.com says that the technique of using Lojack to hide malware was first discovered in 2014, but this is apparently a new exploit of it by the Russians. A number of automakers have started MOBI, the Mobility Open Blockchain Initiative, to use blockchain tech to make cars safer and more affordable. According to techcrunch.com, BMW, General Motors, Ford, and Renault are spearheading the initiative. Previously, Toyota had started doing blockchain research, and Daimler is involved in the Hyperledger project at the Linux foundation. the MOBI group is focusing solely on the automotive space. They claim it may be able to redefine how consumers purchase, insure, and use vehicles. Call it practical or insulting, but Samsung has done best with smartphones when they’ve stolen liberally from Apple. Now, macrumors.com says the Galaxy S9 will copy the iPhone X’s Animojis. Samsung teases that theirs will be 3D and be ‘more advanced’ than Apple’s. They will reveal the name of their clone when the phone rolls out on March 16th. The Samsung version, like Apple’s, will be powered by the Galaxy S9’s facial recognition system. Samsung’s facial recognition isn’t expected to be as secure as Apple’s, but Samsung will also include a rear fingerprint sensor and iris scanner. Twitch has now become as big as the big cable nets in viewership. According to businessinsider.com, the Amazon-owned streaming service had 962,000 average viewers last month (January 2018). ESPN and Fox News have 1.5 million, MSNBC has 885,000, and CNN 783,000. Twitch channels are not all just gaming…there are also IRL streams (in real life) with massive amounts of content covering all sorts of subjects. Find them on the web at Twitch.tv. Amazon has started designing its own AI chips to work with Alexa devices. Engadget.com says the custom silicon should enable the virtual assistant to respond more quickly by baking speech recognition into the devices that use it, rather than having to bounce to the cloud then back with a response. Alexa would still need to touch base with the cloud for more complex inquiries, but for simple requests, the chips will make it responses quicker. Because they can never have enough of our information to sell, Facebook has launched ‘Lists.’ The new feature is rolling out today. Techcrunch.com reports that Facebook sees it as a way to get users to share more personal content. The lists can be To Do lists, Resolutions, eateries to try, bucket list travel destinations, or whatever. To entice usage, Facebook has included choices of colored backgrounds and emoji. It will appear in the ‘What’s on your mind’ status update box along with the other options. Google sold 3.9 million Pixel phones in 2017. If that doesn’t sound like a record shattering number to you, you’re right. According to theverge.com, that’s about what Apple sells in iPhones in a week. The good news is, with the Pixel 2, the sales pace has doubled. If they can keep doubling periodically, it should be a success. The highly anticipated Pixel 2 and Pixel 2 XL today. The XL has a whopping 6 inch OLED screen, all aluminum body, and better image stabilization…although still a single lens cam. Cnet.com reports that it supports AR Core, the Google AR programming interface. 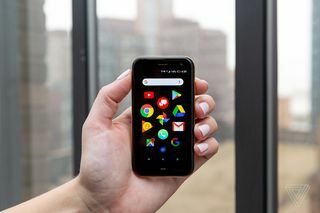 The HTC made phone has the squeezable sides to activate Google Assistant, and has always on display for notifications. The handsets are on pre-order now, and start at $649 for the 2 and $849 for the 2XL…they should be on the streets in a couple weeks. Google Pixel Buds were also rolled out…the earbuds are joined by a neck cord and have a charging case that gives you up to 24 hours use. They work with Google Assistant on Pixel phones, are available in black, white, and blue, and preorders have started. They run $159, and are available next month. Also bowing today where Google Home Mini and Home Max. The Mini is a smaller version of the Home Assistant speaker, while the Max is geared more towards the audiophile. The max goes on preorder in November, and will be available in December for $399.The Mini can be preordered now, and is $49…should be out in a couple weeks. The Google PixelBook was also rolled out…a replacement for the Chromebook Pixel of 2 years ago. It’s still Chrome OS, but has Android app support, and quick charges for up to 10 hours battery life. It has instant tethering to Pixel phones, and Google Assistant is baked in. The PixelBooks start a $999, can be preordered now, and will be out the end of the month. Google also showed an updated Daydream View. It’s $99, and available October 19th. A surprise reveal is Google Clips…a standalone cam that captures short clips. It auto-selects and learns who you want in shots and which shots, and builds clips from them…then uploads on demand. No release date, but it will be $249. Sonos has rolled out the new One wireless speaker. According to 9to5mac.com, it has Alexa voice control, and will support AirPlay 2 by the first of the year. It doesn’t actually have Siri, but with the Airplay function, can be controlled by any Siri enabled device like iPhones and iPads. It’s $199, and will be out October 24th…preorders are open now. Netflix cut a deal with Disney back in 2012 to stream the Mouse’s library of movies and shows. According to theverge.com, it just kicked in last year, and now Disney is announcing they will end the deal in 2019 in favor of their own streaming service. Interestingly, Marvel and Star Wars aren’t mentioned in the new Disney streaming service. Apparently, they are kicking around freestanding streaming services for each. At any rate, by 2019, Disney’s amazing library of shows and movies, including their LucasFilm and Marvel material, will be available on stream from a new Disney streaming service. If you don’t always buy the maxed out memory on your smartphone, you probably have hit the point where you’re deleting songs or pictures to keep from running out of storage. THEN, when you try to update the operating system, you don’t even have room to do that. Bgr.com reports that Google has solved that part of the problem with the new Pixel. Starting with Android 8.0, the phones have a dual partition system for faster streaming updates. Basically, you keep using the system on the phone while a second system updates in the background. After download and restart, the second one becomes the normal OS. With this partition, the phone only needs 100 KB of free space to update instead of a gig. Thanks, Google! Acer has just bowed its updated Chromebook C771. 9to5google.com says there are two models, one with touch display and one without. The laptop has an 11.6 inch screen and features a spill resistant keyboard. The cheaper version is $279.99. If you don’t mind the chrome ‘all in cloud’ system, it’s practically a disposable laptop at this price.